Mayo star Sarah Rowe scored 1-7 as DCU overcame UCC in the first of the Irish Examiner OâConnor Cup semi-finals at Cork IT on Friday. DCU, aiming to match the achievements of their male counterparts, who won the Sigerson Cup last month, triumphed on a scoreline of 2-16 to 1-15, with a late goal from Lindsay Peat providing the clincher. The first half was a to-and-fro affair, with both sides enjoying periods of dominance but the scoreboard was level by half-time. Doireann OâSullivan was outstanding for UCC in that opening period, in which she would score seven points. The Cork attacker was to the fore as the locals scored four points in a row to go 0-7 to 0-5 ahead and they led by 0-10 to 0-7 with only a few minutes remaining before half-time. A Lorraine OâShea DCU point was quickly followed by Roweâs goal though and it took a point from UCCâs Megan OâConnell to ensure parity at the break. DCU took control upon the resumption, however, as they got five of the first six points, three from Rowe and two by BrÃ­d OâSullivan, to give them a 1-13 to 0-12 advantage. UCC had hope again when Jennifer Barry netted from OâSullivanâs pass but Leah McEnaney and Carol Hegarty had immediate responses for DCU. Peatâs long-range goal ensured their presence in todayâs decider, where they will meet UL, who pulled away from NUI Galway in the second semi-final. The holders, despite missing manager DJ Collins for the first half as he was attending his brotherâs wedding, triumphed by 4-14 to 0-8, having led by 0-7 to 0-3 at half-time. While a battling NUIG side managed to back to within three points, 0-8 to 0-5, after second-half scores from Emer Fogarty and Olivia Divilly, by the time they scored again UL would have added 3-5 as they began to find their groove. 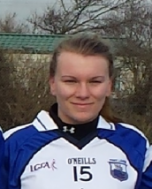 Caroline McCarthy got the first goal after a lovely Niamh OâDea pass and then OâDea and Aileen Wall added more. While Deridre Brennan and Divilly ended Galwayâs drought, McCarthy struck for another goal late on. The Giles Cup final be between Athlone IT and Trinity College while DCUâs second team staged a great comeback to beat the hosts CIT in the Lynch Cup semi-final. 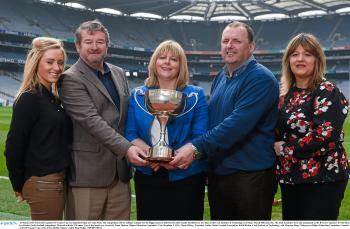 They will play Dublin IT while the Donaghy Cup decider is between Liverpool Hope University and St Patrickâs College.